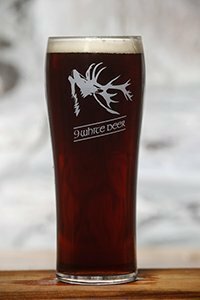 Stag Rua is a beer with big malt flavours and it’s our impression of a perfect Irish Red Ale. The body is moderate meaning it’s not a heavy beer with an ABV of 4.2%. The flavour profile of Stag Rua is full of irresistible chocolate, caramel and toffee characteristics. These are derived from liberal use of chocolate and crystal malts beside the gorgeous Irish ale malt. No one ingredient takes over the beer, more of a depth of layers which reveal themselves slowly. With a grain bill like this nothing else can be expected but a deep ruby red colour, it gives a little insight into what lays ahead after pouring. 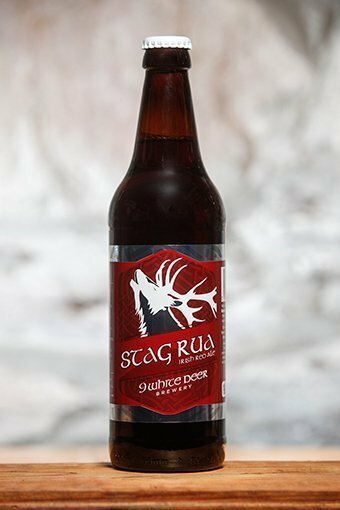 Stag Rua has an aroma that is rich and malty with little hops, although we use a considerable amount of hops their presence is behind the malt but there none the less. It will pour with a off white rocky head and should last all the way down the glass leaving a lacing behind. Stag Rua, an Irish Red Ale is a favourite style of our head brewer and we hope you enjoy drinking it as much as we love it. Be big, be bold, Bí Dána.